One of the first things that a person notices about another person when they meet is the hair along with the person’s eyes and smile. When excessive hair fall is a problem and if hair seems like it will never grow fast enough, then it can push you into a very depressive state. Though hair fall is rampant and many people suffer because their hair doesn’t grow fast enough, there are many ways to combat this problem. There are a multitude of products available in the market to choose from, which make false promises about instant hair growth, but never give a money back guarantee to the customer and there are wonderfully natural ways to faster hair growth which are safe and don’t make you empty your pockets and wallets. It is always best to adopt natural ways to help hair growth as they are not laden with chemicals like commercially available products in the supermarkets. Stimulating the scalp for faster hair growth. The scalp always benefits from a good massage from time to time. When the scalp is gently massaged with the finger tips in circular movements, the scalp is stimulated and this promotes better blood circulation. With more blood flowing to the scalp, one can see a definite increase in hair growth. Another natural method to stimulate faster hair growth is by gently bringing together small portions of hair, wrapping it around the finger and gently tugging on it. This natural method is also known to stimulate the roots. Care should be taken to tug on the hair gently and not in a very rough and hard manner. Using coconut or olive oil for hair growth. Instead of slathering on creams and lotions made for better hair growth and increase in hair volume by cosmetic companies, which have no proven results, it is best to use some warmed up coconut or olive oil while massaging the scalp. One main reason for hair fall is due to dandruff caused by an excessively dry scalp. The oils help moisten the scalp and also nourish the roots and hair. Post hair wash, be prepared to have shiny and very smooth hair. Warm oil massages are great methods that promote faster hair growth and also healthier hair. A diet which includes Vitamin E.
The daily diet which we consume must always be well balanced. There is a saying that we are what we eat and this holds true for our hair as well. An imbalanced diet lacking in the necessary nutrients required by the body for proper and healthy functioning can lead to a hair that lacks lustre and also a lot of hair fall problems. Vitamin E is known to help with hair growth and one should include good sources of Vitamin E in their diet. Some natural sources of Vitamin E are eggs, grains, green leafy vegetable, and fruits like mango, kiwi and also avocadoes. The simple act of gently rubbing onion and garlic on scalp can make a huge difference by speeding up hair growth as they are both rich sources of sulphur. Sulphur is very essential for faster hair growth and these two wonderful natural ingredients can be found right in ones kitchen at any time of the year. With such a simple and inexpensive method available right at home, there is no need to dole out loads of money on products available in supermarkets at exorbitant prices. Going the herbal way to faster hair growth. 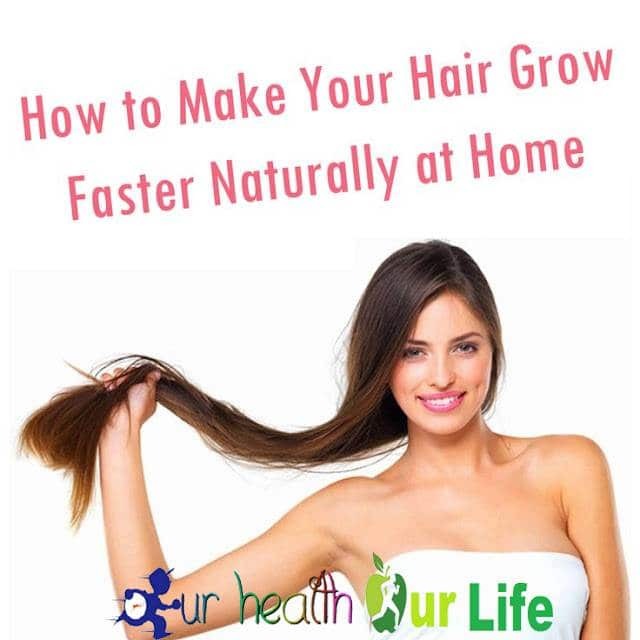 There are natural herbs like horsetail, rosemary and gingko biloba which are very effective in promoting hair growth the natural way in adults. Rosemary is also known to inhibit the production of dandruff on the scalp. A lot of people suffer from dandruff which is caused due to a dry scalp or due to too much production of sebum. Rosemary leaves can be left in hot water and after the water is infused, it can be used to rinse the scalp and hair. This greatly reduces dandruff and hair fall which in turn lead to faster hair growth. The best part about natural remedies is that they are inexpensive, mostly already available at home and do not contain harsh unnecessary chemicals like store bought products. These are some of the best and most effective natural ways to faster growing hair.